We recently reported on TGD that the World of Warcraft movie is coming together quickly for a potential December 18, 2015 release. Colin Farell and Paula Patton are both up for the lead roles, and now news comes in that Travis Fimmel from the show Vikings is also up to star. 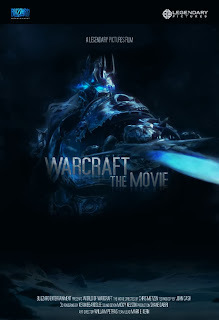 World of Warcraft could indeed be the big, epic video game movie we’ve all been hoping for, and things have gotten off on the right foot so far with director Duncan Jones (Source Code), who could make a terrific film out of WoW if everyone’s on the same page and takes the job seriously. There’s no word as to who Fimmel will play in the film yet, but again, the project is set up at Universal under the Legendary banner, the production company that made the Christopher Nolan Batman films. Production is slated to start early next year.